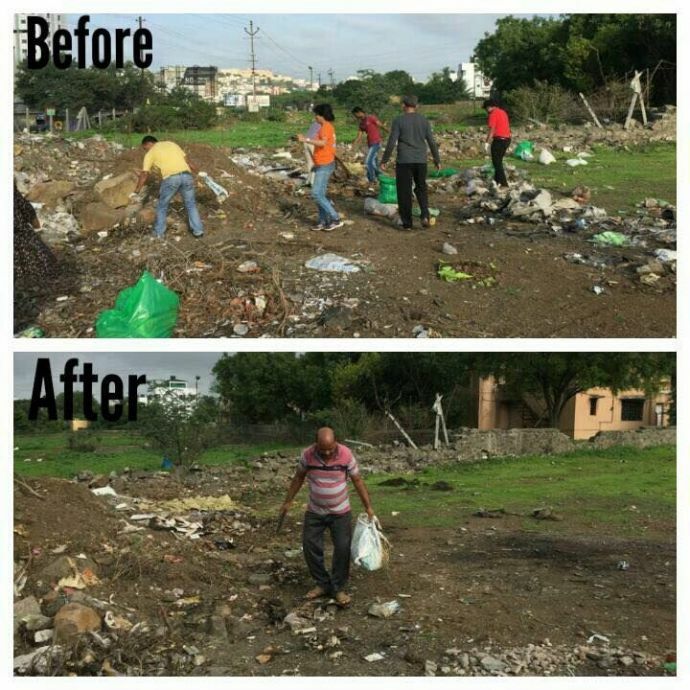 Even you can be the part of this project! Just enroll yourself and get that rake in your hands. 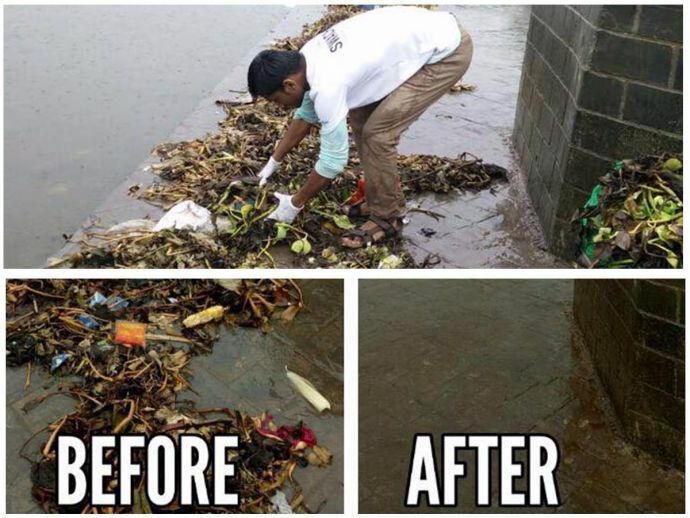 Be it Swacch Bharat Abhiyaan or Clean Ganga Project, every now and then we see our government promoting the importance of cleanliness via different media. 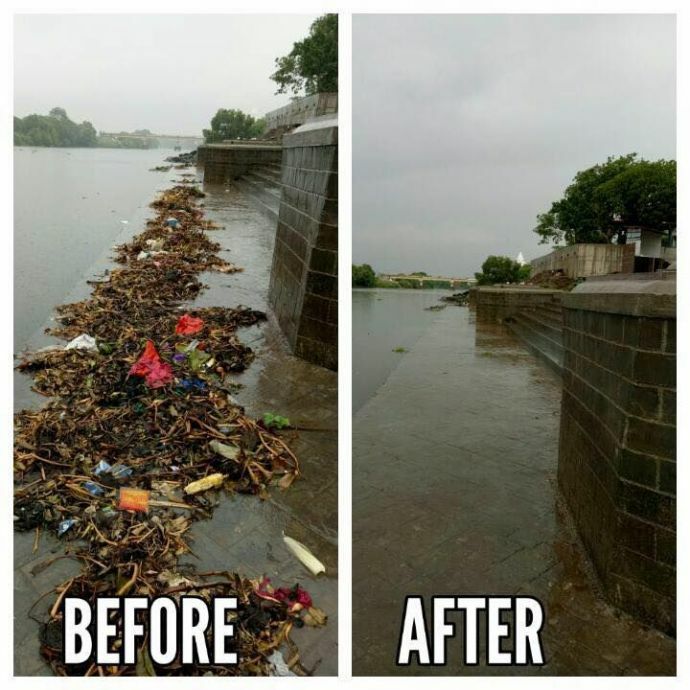 But then, we have somehow forgotten that the efforts led by our government are not their sole responsibility, we are also the part of it and sadly we are not contributing to it. 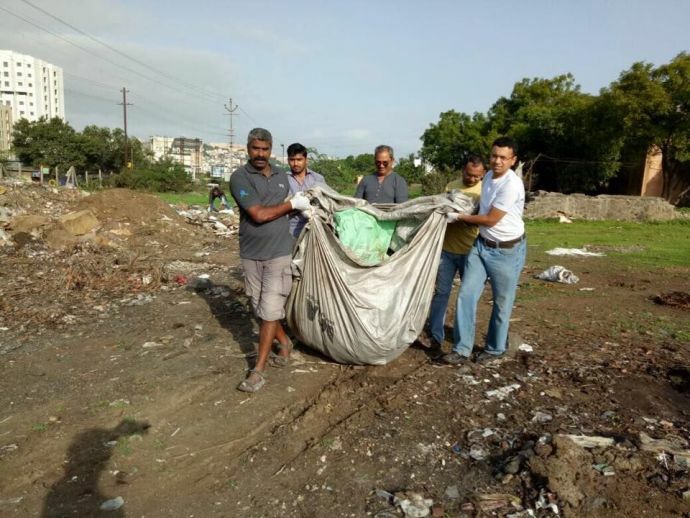 But unlike many of us, there exist people who are willingly and unconditionally spreading love in the city by literally collecting and disposing plastic bags and other trash. 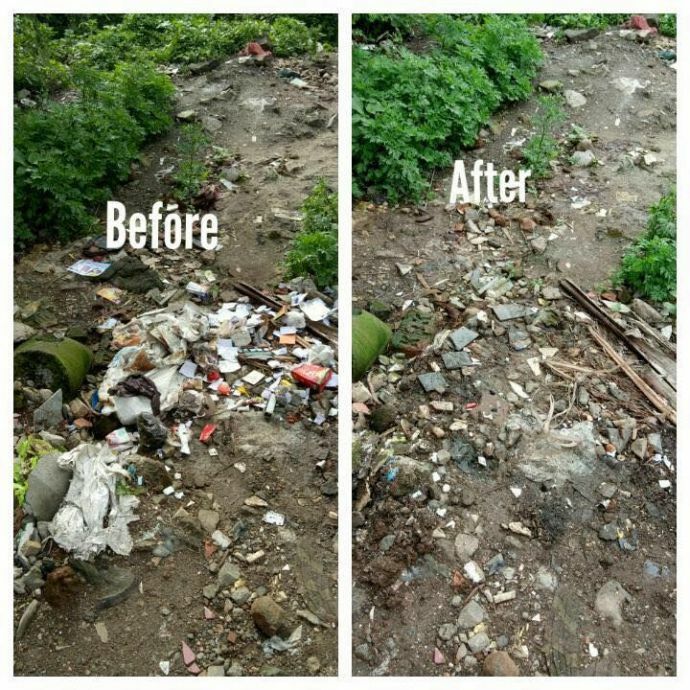 With the motto of Charity Begins At Home, the team of Swacch Pune- Swacch Bharat has pulled up their socks and has made some unbelievable transformations in the city. 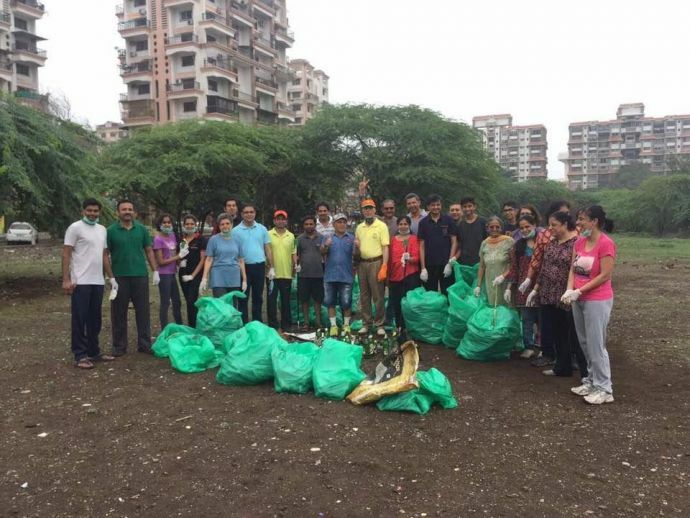 Swachh Pune is a public group. 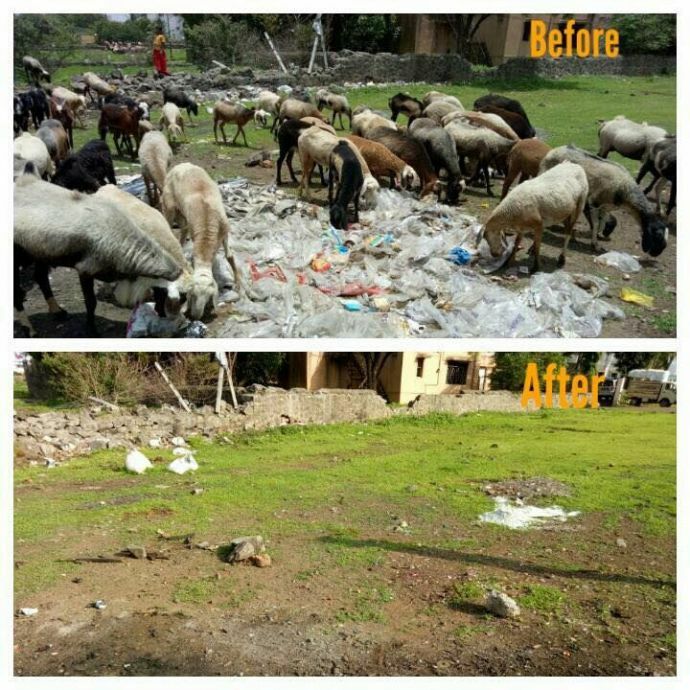 A small group carved out of Facebook friends in support of Swachh Bharat Abhiyan started by our Honourable Prime Minister. 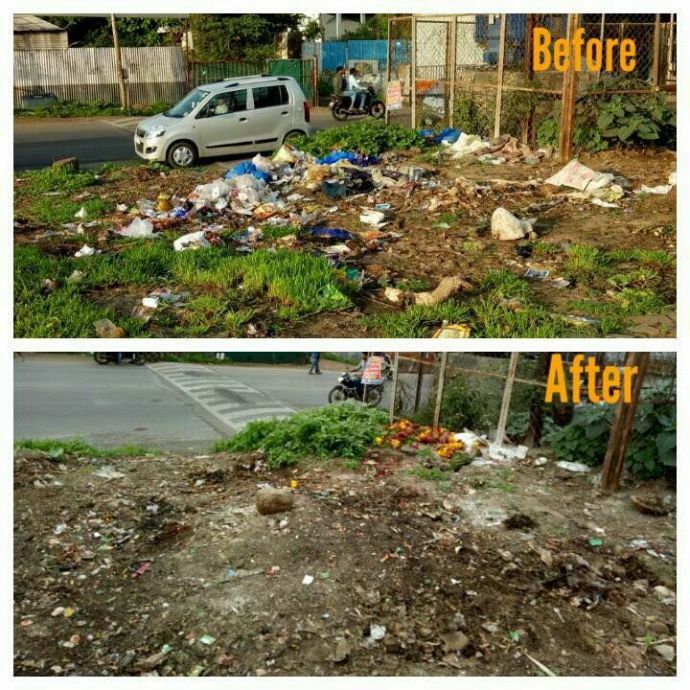 After looking at their Facebook intro we came to know that their vision is to make the city look more beautiful and cleaner. And clearly their efforts are not superficial! 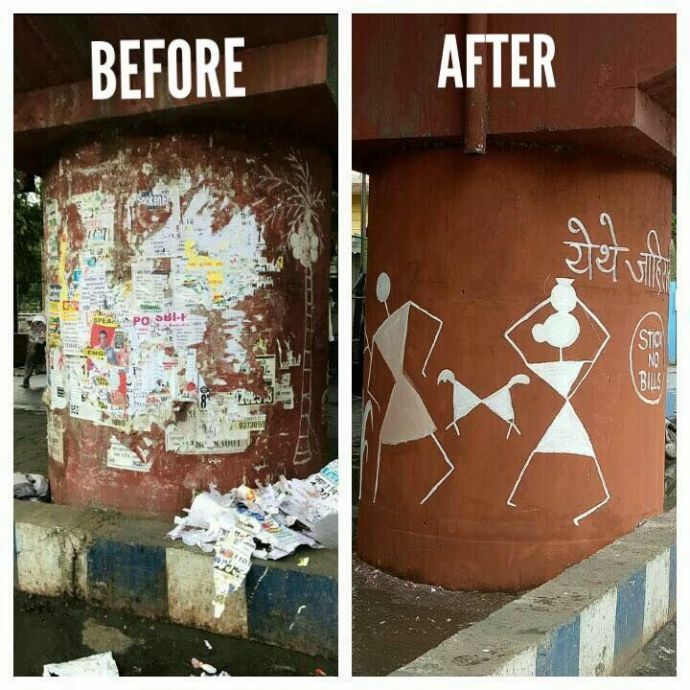 Proud of you- Swacch Pune- Swacch Bharat!